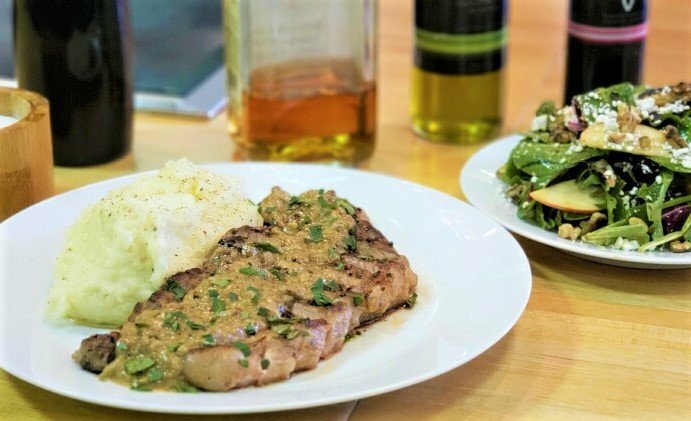 Working at your own cooktop, you'll learn to cook your NY Strip Steak to perfection and create a Kentucky Smoked Bourbon Sauce that will knock your derby off. Then you'll make Garlic Smashed Potatoes. Oh my!